I'm loving the discussion... Keep it up! Just a minor point, the Kawasaki C-2 transitted Australia last last year on its way to NZ for demonstration fights, just like the KC-390 did earlier in the year to 'trigger' this thread. Thanks for the link, I did not know it. In the short comparison I used the same sources (Wikipedia), so that someone should be presenting bad information. One point to be considered is that all KC-390s can be refueled and refuel in flight. So in a long range mission a pair of KC-390s can go quite far, since the max KC-390's Ferry range is even larger than that of the C-130J (4600 vs 4270 nm). Considering the Embraer aircraft is not yet certified these values ​​are estimates, so it would not be surprising if the final numbers are slightly better. I understand that it would be quite unfair to say that the KC-390 does not represent a very tough competition to the C-130J. You should do a little more research on the country military techs. Your line of reasoning confuses me a little. First, you say that the US does not need the best equipment, and then you say that any solution made to the US will be technically cutting-edge, above the requirements of other countries. I believe you meant that "We can spend a lot of time employing obsolete equipment (B-52, C-130, KC-135 ...) until we can design and produce something in America that will revolutionize the industry." Japan: (1) The country has no tradition as an arms exporter and (2) the fact that the C-2 is not designed to operate on semi-prepared runways. This puts C-2 in the strategic transport category, a very small and expensive niche. Any western customer would try before buying some used C-17 or A400. Russia: Il-76 has an impressive capacity, but few recent exports and a good part of them for a market that will close (China). The Il-276 (ex-Il-214) looks a lot like the KC-390, but there are doubts as to whether this troubled project will be implemented. China: The Y-20 belongs to another category of aircraft (2.5 x KC-390), a very disputed segment. With Russian turbofans, the efficiency and durability of turbines appears as a point of fragility. Ukraine: With all the political and industrial problems, the traditional manufacturer Antonov should not have a competitive product. The A-178 is perhaps a bit small for the task. I believe the actual competitors are the C-130J and Chinese Y-8. I don’t think anyone referred to Brazil as Haiti. 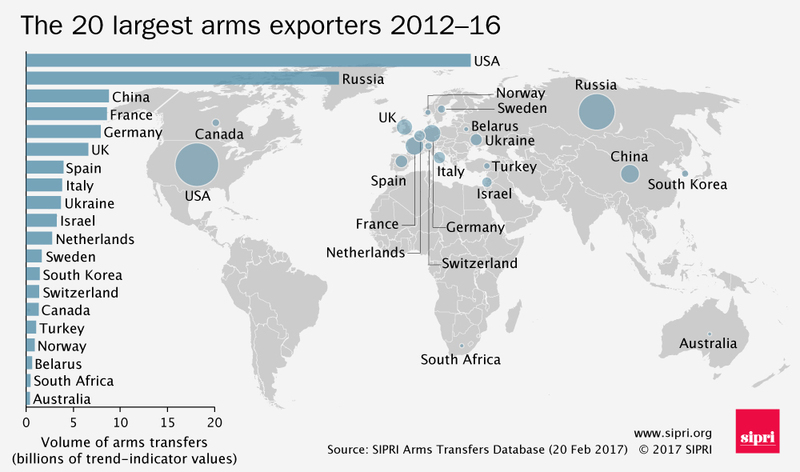 What we do know is that Brazil does not rank in the top 20 for arms exporters globally and most exports from Brazil comprise smalls arms and ammunition which are reasonably low tech exports. Brazil has every opportunity to increase that and the KC-390 probably has a big role to play in that increase, but right now Brazil is comparatively not a large exporter and doesn’t have a lot of agreements or track record with countries in that area. Your line of reasoning confuses me a little. First, you say that the US does not need the best equipment, and then you say that any solution made to the US will be technically cutting-edge, above the requirements of other countries. I thought that point was clear but I will try again. If we look at what the US has, in some areas its weapons and systems dominates, in others it does not. Overall, the US would probably be classed as the most proficient and combat capable military, but that proficiency is not directly related to high end military equipment being operated in every category. Take the USMC for example. It has the MV-22, a top end high tech cutting edge piece of equipment., expensive to acquire, costly to operate but it comes with great capabilities. On the flip side, it operates the UH-1 in various forms. A good helicopter but no world breaker. In a similar fashion the USMC operate the AAV-7 which is not a modern piece of equipment and we could probably find better armed and armoured vehicles in service with other nations. How the Marines use it, and how the AAV-7 fits into their overall battle concept and how often and realistic they train, allows them to compensate for any perceived deficiencies against other systems. I believe you meant that "We can spend a lot of time employing obsolete equipment (B-52, C-130, KC-135 ...) until we can design and produce something in America that will revolutionize the industry." No. I was considering that a future US tactical transport aircraft for the USAF has a chance of being, for example, VTOL. That won’t come cheap and will likely be reasonably complex to maintain but will fulfil the requirements the USAF has. I don’t see that type of airframe appealing to the large number of existing C-130 operators so exports may be limited. What we don’t see are used large military transports on the international market, no chance of a used C-17 anytime soon that is for sure. Perhaps used German Air Force A400M given they have already indicated they are willing to sell but that market is limited. I agree though, at the moment Japan has a limited defence export industry. How that changes over the next 15 years will directly impact the C-2 as a potential, albeit heavyweight, competitor to the KC-390. We have had an extensive discussion in the A400M thread about semi-prepared runways and the requirement to land on them. I think there is a market for transports that do not have that capability as so few nations require it, but only time will tell if that is true. The IL-76 had the largest manufactured fleet of any modern military transport above C-130 size. The new IL-76, or IL-476, has every chance of being an export success given the large number of current operators and an established Russian military export program. I already indicated the Y-20 was on the big size to compete. I still expect we will see something out of China in the next ten years for the smaller transport segment, whether an updated Y-8 or turbofan aircraft will have to wait and see. Hence why I didn’t list Ukraine. Well NZ is a perfect example of a nation that has a fleet of C-130 that they are looking to replace. They have expressed interest and are looking at four different aircraft, the C-130J, KC-390, A400M and the C-2. I think for some customers all four will compete but for others the two smaller airframes may be preferred. Yes, Brazil is not a main military exporter. But there is something it can do is build good aircrafts as history has shown. Canada is in that chart u posted but its BBD couldnt compete with Embraer, so u may be underestimating the company ability to build a good product because the country has no history of being a military exporter. We aren't talking about building a good aircraft and no one has stated the KC-390 is anything less than a good aircraft. Turboprops have a very big advantage when it comes to fuel burn. Generally to travel say 1000nm a turboprop will consume 75% of the fuel. The turboprop will take longer to travel that distance but it will do so using less fuel. Now let's say the KC-390 filled up with 20T of fuel bringing its weight to 58T. That leaves 23T before hitting max takeoff weight. The C-130 to travel the same distance would burn only 15T of fuel due to its 75%. That would bring it's weight up to 50T. That leaves a massive 29T for payload before hitting the 79t maximum takeoff weight. This shows the headroom the C-130J has for emergency and war situations. Payload is limited for peace time purely to increase airframe life. The C-130J for instance at maximum payload must land if its fuel capacity in the wings drops below 50%. This is reflected by the C-130J's relatively low range at max payload. The weight of the fuel is used to reduce wing root bending movement purely for peace time airframe life. This restriction is not all bad news it means the C-130J has plenty of fuel to return from the combat zone which is very realistic. During the evacuation of Vietnam the C-130's regularly took off with over 30T payloads. The newer C-130J could lift 35T a short distance if it had to. The C-130J can lift more by weight, lift more by volume, fly further, land on a shorter runway and then takeoff from a shorter runway. All on the one mission. It can even loose an engine due to enemy fire and still get the job done. The KC-390 will be a very hard sell. Low end militaries will go used herc's. High end militaries will use new herc's as a tactical airlift and for the speed part they have a larger faster C-17's. New Zealand is probably the only country I can think of that would prefer the KC-390. It flies relatively long flights to Australia where its speed would be an advantage. New zealand would rarely send aircraft to the front line of a war zone where the extreme tactical performance of a C-130 would be required. Range is probably more important than speed: currently there is a point of no return en route to Antarctica. Pass it, you're landing on the ice no matter what. Highly undesirable due to the weather down there. Not sure whether AAR would be considered, as NZ lost that capability with the Skyhawk buddy pods. The C-17 is no longer in production and is too big for RNZAF facilities, but would have had the range. It probably would have been a good idea to fund an aircraft for a joint RNZAF-RAAF squadron, as Antarctica is the only op which could really use a C-17. Tactical performance is still useful, as the RNZAF handles emergency relief in the region, so the ability to land in a field if need be after a natural disaster is a plus. Not to mention showing off at airshows! There is a problem with your numbers, since you do not bring the sources and some conclusions are quite speculative. You also fail in a fundamental aspect that is respect for symmetrical criteria. obs: Unlike the KC-390 there is no probe for the KC-130J to be refueled in flight. With respect to Vietnam you say that at war the manuals can be forgotten and the C-130J would have a much greater effective load capacity than the certificate. There is a famous story of an Israeli 747 that transported 1122 Ethiopians (there were many children and thin people). As a matter of justice, I ask you what would be the carrying capacity of KC-390 if only the laws of physics needed to be respected? Theoretically, a device without fly-by-wire, larger wingspan and lower wing fuel load, such as C130J, would be at a disadvantage. The KC-390 has many similarities to the A321ceo. Both use full fly-by-wire technology, the same IAE 2500 engines, have the same wingspan, and their wings have advanced features to improve lift. The maximum take-off weight of the A321 is 93 t (A320 = 78 t), while the KC-390 is limited to 81 t. The A321neo version reaches 97 t. So if I have to make a speculation of what could be a version of an heavyweight KC-390 I would say that there is still plenty of room for growth. I do not need to remember that the KC-390 is still seeking its initial certification, while the C-130J for a much older project has already received several optimizations. You seem cherry picking data yo try and make the KC-390 look superior. You previously stated the C-130J could carry 20T now it is only 18,699kg. You've just supplied the weights up to 2.5G limit. The aircraft has to be much lighter to allow for 2.5G maneuvers. 2.5g is actually the max limit for most large aircraft. The maximum takeoff weight for the C-130J is 175,000 lbs / 79,380 kg obviously the aircraft can't perform aerobatics at such a heavy weight. obs: Unlike the KC-390 there is no probe for the KC-130J to be refueled in flight.. Plenty of C-130J's are refueled in flight. The vast majority of countries that fly the C-130 have no inflight refueling aircraft anyway. As a matter of justice, I ask you what would be the carrying capacity of KC-390 if only the laws of physics needed to be respected? Theoretically, a device without fly-by-wire, larger wingspan and lower wing fuel load, such as C130J, would be at a disadvantage. Completely wrong. The C-130J's in Vietnam weren't taking off at a higher maximum takeoff weight. They were simply taking off with very little fuel but with more payload. So the runway required was the same, the weight on the tyres were the same. The KC-390 has no such ability as it has no headroom to do so. The lower fuel load of the C-130J still allows it to fly further as its engines burn less fuel. The KC-390's fuel capacity of 23.9T when used means it can only carry 18-19T before hitting the maximum takeoff weight. The KC-390 must significantly reduce its fuel load to carry its 26T payload. Comparisons with the KC-390's and A321's wingspan as proof that the KC-390 had room for growth is laughable. Fly by wire doesnt allow the aircraft to lift more either. Wings are extremely complex. The A321 operates from 8000 foot runways. You aren't going to find one of those on the battlefield. The list of the 20 largest arms exporting countries presents some quite problematic. There are China, South Korea, Turkey and Belarus, with the proverbial difficulty with the command of the English language. Also appears the Ukraine that follows in a civil war. Also on the list is Israel, with bad or no connection with much of the Islamic world. On the other hand Brazil has good relations practically all over the world. Embraer Services & Support supports more than 2000 aircraft in all the world. It has recently been reorganized to support all business areas (commercial, executive and defense). As I said in 15 years Embraer started from a 0% stake in the executive segment to customer satisfaction levels rivaling Gulfstream, a traditional leader. In the KC-390 program Boeing has a partnership with Embraer for sales and after-sales support in markets where its share is strong. If the association with Embraer goes ahead, it is also natural that Boeing should dispute head-to-head with LM, including for the US Armed Forces inventory. The same Boeing is on the T-X program with an ambitious proposal, with a totally new trainer aircraft. With regard to Russian Il-76 and its successors I am quite skeptical about the their ability to adapt the aircraft to contemporary needs, produce it in significant quantity and provide the expected customer support. I think the Chinese Y-20 will take its place. I didn’t make that list up, it is based on data collected by a respected international organisation. Who comprises that list ten years from now will likely be different. As for your claims on China, South Korea, Turkey etc command of English that clearly isn’t an issue given their export success. If we took South Korea as an example, they have had great success exporting the K-9 SP Howitzer. They have exported systems to India, Finland, Norway, Poland, Estonia, will co-manufacture with Turkey and may get an Egyptian contract this year. Which is great and should put them in a good position to sell the aircraft broadly but typically when these acquisitions occur they are made at the government to government level. I personally think the matchup with Boeing is being oversold. If Embraer has such a global footprint as you state, then I see little incentive for Boeing to assist except in the areas I have already indicated, which is the understanding and history of dealing with military export, which Embraer clearly lacks. For the US inventory, I still don’t get why you keep pushing this. Boeing cannot create a need from the US Military for a KC-390 transport, it requires years of US military internal requirements definitions and needs analysis and results in a tender process, at which point Boeing, and LM and whoever else can bid. Russia continues to export equipment around the world despite their reportedly poor post acquisition sustainment. Lieutenant General Vladimir Benediktov, head of Russia’s military transport aviation command (Voyenno-Transportnoy Aviatsii, VTA), announced at the beginning of October that the Russian Air Force would require 150-200 new Il-76MD-90A transports by the end of the 2020s. The announcement was made by Lt Gen Benediktov while visiting the Aviastar-SP factory at Ulyanovsk Vostochny Airport in the Ulyanovsk Oblast, where he inspected a number of different aircraft types currently under construction at the plant. He also stated that the Ministry of Defence is happy with the progress being made in the development, with a reported 25% or more efficiency increase over the legacy Il-76 models. The current production plan is to have 39 delivered by 2021, with a rate of 21 a year from then on. This is approximately four years later than planned; the original government resolution was issued in 2006. The delays are believed to have been due to Aviastar-SP having to redevelop static test procedures when aircraft production was transferred from Tashkent TAPO in Uzbekistan to Ulyanovsk. The VTA currently has 144 Il-76 transports in service, the oldest of which was delivered to the Soviet Air Force around 1981. Up to 14 of them have been upgraded to the MD-90 standard with new PS-90A-76 engines in the last 10 years. Despite this, it is estimated that more than 50% of the current Il-76 fleet is grounded in a non-airworthy condition. This is putting an ever increasing strain on the ones that are airworthy. It is believed that five MD-90A variants have been completed, the first four as test aircraft and the fifth delivered to the VTA's 610th Centre for Combat Employment and Personnel Retraining at Ivanovo Air Force Base. Some Russian claims you take with a grain of salt but the production estimates, and the domestic need, signal a decent production run (even if they delivered only half that amount) for the new IL-76MD. That makes a good case for production efficiencies, and the opportunity for export. Given the previous aircraft sold very well and, with the Y-20, will be the only in production military transports above 40t payload, there is clearly a market segment to compete in. Whether the Y-20 or IL-76MD wins is up for debate but I would put my money on Russia and their extensive export network to see some success. 1) "So besides a 40% higher cruising speed the C-130J is superior in every metric." We all know that is a total [email protected]@@hit. 2) "Lots of new C-130J's being purchased means lots of C-130H's being retired that can be refurbished." To refurbish an C-130 is not easy and inexpensive task, there is a lot of work and new equipments. Meanwhile old C-130Hs can be quite dangerous, such as the last year fatal accident during a FAP training show us. 3) "During the evacuation of Vietnam the C-130's regularly took off with over 30T payloads. The newer C-130J could lift 35T a short distance if it had to.The C-130J can lift more by weight, ..."
This information is incorrect and you know that LM does not endorse this capability (35 ton). I await a correction. 4) "It can even loose an engine due to enemy fire and still get the job done." You are aware that in the last 60 years the number considered ideal engines has been greatly reduced. Even the US Navy acepted a single-engine fighter (F-35C). The C-130 especially when loaded and with an external engine inoperative, is an aircraft of difficult control. 5) "You seem cherry picking data yo try and make the KC-390 look superior." I did not compare the KC-390 with the KC-130J to seek to favor the Embraer aircraft, but because they are the most directly competing models. The LM aircraft has other advantages as the broad customer base and because there are specialized versions. 6) "Plenty of C-130J's are refueled in flight. The vast majority of countries that fly the C-130 have no inflight refueling aircraft anyway." LM's KC-130 brochure makes it clear that it comes with optional equipment ie it is not an standard equipment, such as the KC-390. 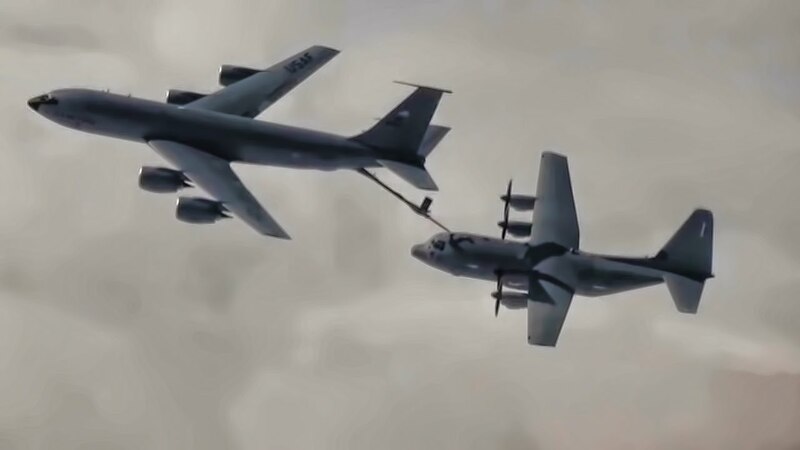 Aerial Refueling Probe Installation System (ARPIS)"
Is quite rare to see a KC-130J with probe, and without them there is no way for a KC-130J to refuel another ( buddy-refueling). Few airforces uses Flying boom. 7) "Fly by wire doesnt allow the aircraft to lift more either." There is a great deal of conformism to the leadership of the C-130, as if this were something recorded in the scriptures. If we thought that until very recently the only directly comparable equipment was the Chinese Y-8, maybe this mentality made sense. From the moment the KC-390 is certified and can be produced in the US by Boeing, the C-130 monopoly ends. Some of the people who deny this possibility are the same ones who are convinced that the CS-100/300 will be produced by Airbus in Mobile-AL. That will not be nice to LM, no one likes to lose a monopoly. But the advancement of turbofans is inexorable. If we go back to the time when the Boeing 737-200 / DC-9 eliminated the chances of four-engine turboprops like the Lockheed Electra we will see that the same JT-8 engines (~ 16,000 lbf) still did not serve properly for a tactical transport aircraft. The nice C-1 Kawasaki aircraft proved to be very unhelpful for the tiny load and range (Range: 1,810 nmi with max fuel & 2.300 kg) payload. Almost 50 years later, the turbofans used by single-aisle aircraft are much more powerful, economical and robust, which will allow the KC-390 to carry a 10x greater load for almost the same distance (Range: 1,520 nmi & 23.000 kg) ! The prototype that had a incident back in october will fly again tomorrow after some structural repair. Source is a user in the PoderAereo website. Wonder if any modifications were made? SkyTech signed a intention to buy 6 KC-390. The order took place in the Singapura Air Show today. SkyTech is a HiFly (Portugal) and Adagold Aviation (Australia) joint venture (I think). There are also negotiations with Italy, Bolivia, New Zeland and UAE. How do you see Skytech using these, as contract military transport for rough field work for Africa, Middle East etc or in some commercial arrangement? The correct English terminology would be potential order, not intentional. So of the potential orders we have a number that have been interested for a long period of time but have still not locked in a firm order. It is likely that a number are waiting for the aircraft to IOC, and potentially FOC, with the Brazilian Air Force before they order so perhaps in one to two years there will be some firming of this interest. I expect 2020 should be a good year for the KC-390. A decent amount of previously military transports is used for commercial and civilian purposes. I expect there to be some demand for transporting outsized cargo that does not warrant an An-124, similar to what the An-12 does today. Agree and also the IL-76 but almost all of these are acquired second hand from surplus stocks while this appears to be a new purchase. LM had comparatively few takers for the civilian L100, MDD/Boeing had no interest for the CF-17, I don't see any interest in a commercial A400M and Japan is offering a commercial C-2 with little interest. The business case appears questionable to acquire a new build military transport when the use, commercial value and infrequent need for outsized cargo is low. Not really sure, I know little about this company. 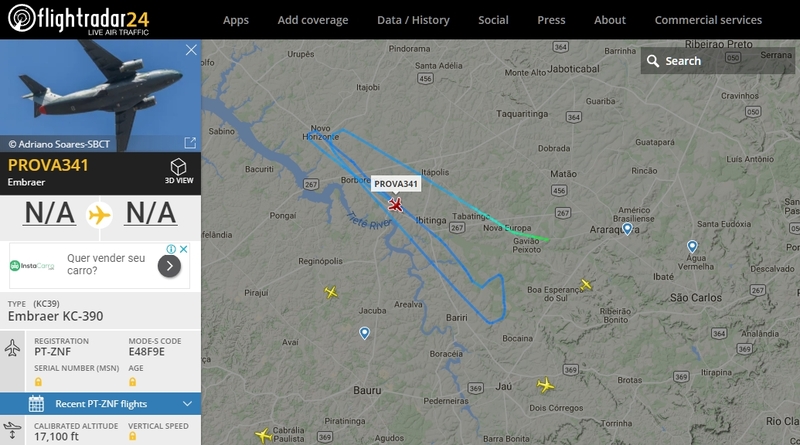 But the KC390 is expected to have a Civil certification too (Brazilian Postal Service wants them and in the Brochura u can see the KC390 with Fedex paint), maybe SkyTech wants the Civil KC390. If so this order will take time to became a firm order. Thanks, I will edit that. Most of the countries that signed a Potential Order are tight defense budget countries. If u take the 3 countries that are together with Brazil in the program, Portugal already confirmed the orders but I think TR and Argentina will still take some time, specially Argentina which is in a really bad shape right now. Colombia and Chile as u said I think they will wait untill the aircraft becomes operational and in use with the FAB and FAP. Its a guess but I think the next country to make a firm order will be Sweden. The Grippen deal is doing fine so far so I guess Brazilian Government will make some pressure. That 5 + 20 was the potential order that Brazilian Postal Service made earlier, I dont know if that deal is still in negotiation. I believe C-2 has a much better chance in NZ than the KC-390. Although I think it's the A400 which will get the nod. Re: the Skytech order.... Could some be headed to Antarctica? This is certainly an interesting order. I agree, very interesting. So we aren’t looking at a contract arrangement but a leasing option. Makes sense now and the mission of SkyTech becomes trying to find a home for six KC-390 in the next couple of years. I think this plan has a much greater chance of success than attempting to use the KC-390 commercially. Will be interesting to see if and where they place these and I could see two or three different customers for the six aircraft. Yes. What I understood is that SkyTech would buy the KCs and lease them to nations that couldnt afford now a Military Cargo Aircraft, and also providing maintance service and training for the country. Air&Cosmos speculate that the SkyTech deal may actually be the concretisation of the Portuguese order. In this case SkyTech would lease the aircraft to Portugal (and possible other customers), and you'd have to remove the Portuguese order from your list. Yes. What I understood is that SkyTech would buy the KCs and lease them to nations that couldn’t afford now a Military Cargo Aircraft, and also providing maintenance service and training for the country. That is very feasible, essentially what SAAB has done with Gripen leases in Europe. Interesting, thanks for that source. 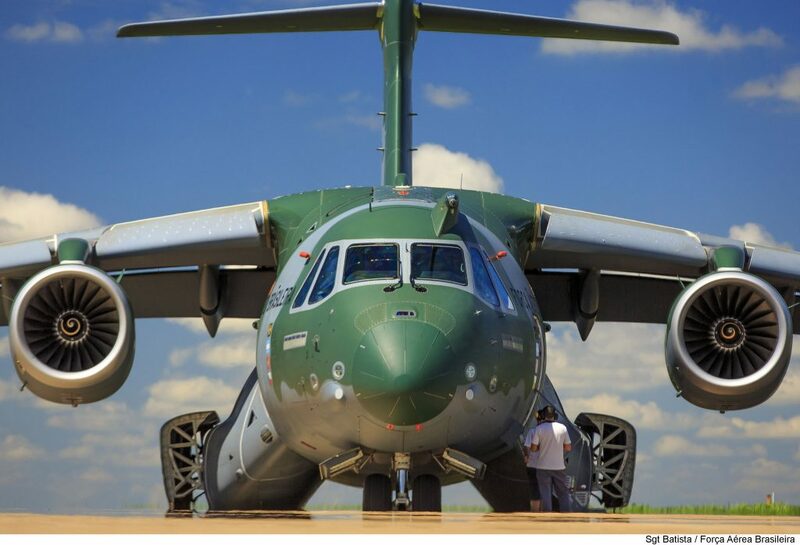 from last year indicates that Portugal hasn’t actually firmed an order for the KC-390 yet and talks about a projected IOC date of 2021 if and when the order happens. That gels with the possibility of SkyTech, a part Portuguese company, leasing the jets to the Government. Speculation that anyone could've come with. Instead being the 6 Portugal wants, it could be another 6 for Australian, since the company is also Australian, its easy to speculate, see? This article has no source, no indication of anything, just a guess. Its not impossible but in a article says that this SkyTech has talked with governments air forces about this kind of market, so I dont think it would be just a kind of deal because Portugal is in a bad shape financially, but actually this company trying to find a niche. [quote="YuriMG2"]Speculation that anyone could've come with. Instead being the 6 Portugal wants, it could be another 6 for Australian, since the company is also Australian, its easy to speculate, see? Given the vague nature of SkyTech it should no surprise this type of speculation is occurring. Speculation that anyone could've come with. It's an assessment made by a defence journalist. Air&Cosmos isn't just anyone. But of course the article says that it's just a possibility. Time will tell. The Portuguese Air Force is a government's air force as well, and it' s much safer to start a new business model when you already have a large customer at hand. Commercial freight is very interesting. It's a very tough market with cheap passenger to freight conversions of both the 767 and A330 families. Oversized cargo can go in Soviet era military transports or through the nose of existing 747 freighter. Maybe being from Brazil the price can be attractive enough to make the numbers work. Usually military airlifters have inferior fuel burn compared to airliners due to the increased cruise drag of the STOL designs. I'm not sure if the newer engines in the KC-390 could make up for this. Oversized freight demand to rural areas is probably increasing so maybe the commercial market could support the KC-390. Does FedEx for example have any routes currently used by props that could be upguaged? I would have thought any route that has significant freight demand would have an airport big enough to support a 767 freighter. 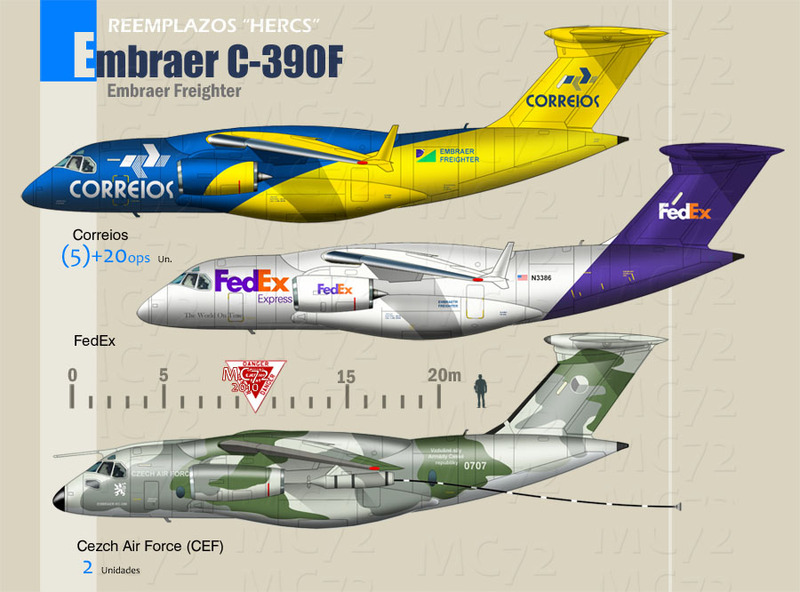 The KC-390 looks very nice in that blue/yellow Correios livery! Thanks for posting! Agree, history tells us there is little commercial return in a military transport used for commercial purposes, the number of trade-offs to provide that transport with the specialized capabilities it requires makes it uncompetitive against commercial freighters from the majors. The only niche cases are outsized cargo or rough field performance and frankly I don’t see a viable market to support those use cases that isn’t covered by existing providers, whose jets will continue to fly for many years to come. Does FedEx for example have any routes currently used by props that could be ungauged? Painting a brochure is great free Fedex advertising but I don’t see any justifiable reason for Fedex to order the KC-390. 1 - The prototype that had a incident in flying again. 2 - FAB is already making preparations to receive 2 aircrafts this year. In this link (in portuguese sorry) there is a lot of info. Like the aircraft program is 97% done. It already did the high temperature and artificial ice test. Next step is ice and snow for the antartida operation. An outspoken part of the audience here invariably ohs and ahhs any $best_airframer_model in $more_or_less_far_fetched_customers livery rendering. Where is your beef in someone posting just another hopeful rendering not even a single "777!" ? At least in your mind that is. I do quite like the KC-390 and think it looks great in those schemes. I could see it being a good hauler for rough service areas etc. But the problem is there are cheaper aircraft for such areas (and I suspect the capacity and speed aren't needed as much for those ares either). What your minds thinks my mind thinks. I'll have to ask my Eustace about this. L100 has civil applications. French Post Office used C160 for a while. No worries WIederling, just haranguing you a bit and really there is no need for me to. By logic the favorites are the C-130J, KC-390, A400 and C2, in this order. "......These include the air force's Airbus Defence & Space A400Ms, which boasted a deployability rate of 38%, or just three of the service's 15-aircraft total......."
As for C-2, the price is expected to be much higher than the KC-390 (~ 136 vs 85 MM USD), as well as the operating cost. Its manufacturer has little to show in terms of customer technical support. It's actually a high-level bureaucracy air force plagued by a series of "reforms" (downsizings). The RAF seems to have a better experience with the A400M. "a deployability rate of 38%, or just three of the service's 15-aircraft total......."
I don't know why they spread such nonsense about their own A400M fleet and make it look even worse than it is. "Three of the service's 15-aircraft total" would be 20%. But according to the original report, "three" actually is the average deployability for 2017. However, 15 is not an average, but the total they had received by the end of 2017. Eight of these were only delivered during the course of 2017, see A400M production list. So the average for 2017 is approximately 10 aircraft. It's more reasonable to say "or just three of the service's 10-aircraft average". The report also states that eight aircraft were available on average (that's where the "38%" comes from), so an average of two were in retrofit or long-term maintenance. While 38% doesn't look good, we're still at the beginning of the bathtub curve. New customers will receive aircraft that don't suffer from most of the defects that have caused the low deployability rate so far. That price diffence makes sense though given the C-2 has a longer range and a greater payload capacity (40% greater by weight) all in an airframe that has larger internal cargo dimensions. For NZ which has Antacticia considerations they are important requirements for a new transport aircraft. I think the C130J has limited additional utility over the current C130H fleet and wouldn't be a good choice for an aircraft that will likely be in service for at least 30 years, which places it firmly at the bottom of the list. C-2 and A400 give the RNZAF the ability to transport an NH90 and NZLAV without too much disassembly, KC-390 and C130 can't. A400 and C-2 are also able to fly to Antarctica and return without landing. C-130 can't.